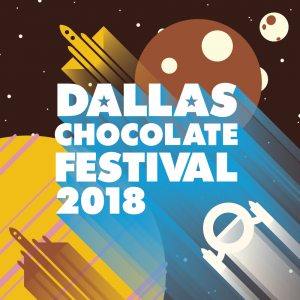 Registration is open for the 2018 Dallas Chocolate Festival! The Dallas Chocolate festival is in its 9th year, and gets bigger and better with each year. Chocolate lovers from around the region come to taste, learn… and shop! 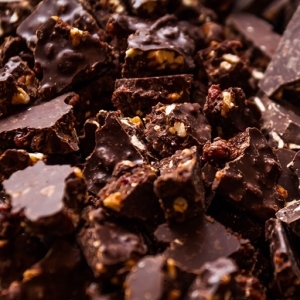 The Dallas Chocolate Festival is an event that celebrates the best of the world of chocolate. 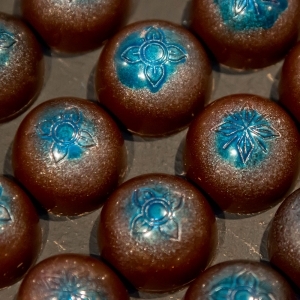 We highlight the quality, artistry, and unique tastes of chocolate. The event showcases artisans large and small from all around the world. When: September 7 – 9, 2018. Where: We’re back at the F.I.G (Fashion Institute Gallery) in the heart of the Arts District in Dallas. Located at 1807 Ross Ave.
Why: To educate the public about chocolate… one bar at a time. How: Through classes, workshops, lots of tasting and shopping, and a whole lot of fun. Check out the highlights from last year’s event. This year we anticipate 2000 guests at the main event on Saturday. The Festival sees an increase in attendants every year, and 2018 is expected to sell out. The main event is family-friendly and is open to all ages. VIP event on Friday night will be 21 and up, as well as the medial. Entry times are staggered to manage flow of attendees to be constant throughout the day. It will be a steady stream of chocolate-seekers from 11:00 – 5:00. Vendors are encouraged to sell. This is a chance to put your product into the hands of savvy foodies from all around Texas. Bring plenty of product that’s pre-wrapped and ready to sell. Vendors are required to sample. A sample can be small, but be prepared to provide at least 1500 samples over the 2 days. Vendors are encouraged to stagger samples so that they have product available throughout the entire festival. Lunch for 2 on Saturday, Sept. 8th during the festival. If you’ve got questions, please send us an email at info@dallaschocolate.org. We are working with nearby hotels to secure discounted rates for vendors coming from out of town. That information will be posted as soon as it is available. If you have questions or need assistance with lodging, let us know and we’ll be happy to recommend a place that meets your needs. The 2018 Dallas Chocolate Festival will celebrate the creativity and talent from chocolate makers and chocolatiers the world over. The goal is to educate the public about artisan chocolate… one bar at a time. Our belief in education also is reflected in our scholarship program. A portion of funds from this event will provide full scholarships to pastry students enrolled in North Texas college-level culinary programs. The theme for 2018 is “The Future of Chocolate” Our space-inspired theme will emphasize the innovation and state of the art developments in the artisan chocolate industry. This will happen with live demos right on the showroom floor, more formal talks and presentations, photo ops, and live video displays. We expect over 2000 chocolate lovers to attend in 2018. Our post-event surveys from 2017 show that more than 60% of attendees spent more than $50 at the festival. This is a FANTASTIC opportunity for you to get your products in front of a very targeted audience. Spaced entry times to keep traffic flow consistent throughout the day. Ability to sell to up to 2000 chocolate enthusiasts. Have you been to the Festival before? Sweet! Special Pricing available for returning vendors. Email us for the details. Simplified Load in: load straight to your booth on load in day. Separate areas for demos and presentations for increased seating and improved audio. Additional floor space. We have room for up to 70 vendors, as well as side rooms for demos, the children’s experience, and some other fun surprises. The Dallas Chocolate Festival has always been about promoting artisan chocolate. It continues to garner rave reviews from the media and attendees because our vendors have been active participants in that success. Please read through the benefits, responsibilities, and opportunities listed here to see how your company can be involved in this event. A social media kit to promote the festival on your own outlets. Event posters and postcards to use with your customers. An opportunity to sell to a very targeted market of over 2000 chocolate lovers. An opportunity to network within the chocolate community. A minimum of 1200 samples (they can be small, they don’t need to be full size bonbons). Certification that all food handed out and sold was made in a certified commercial kitchen. Booth decoration and display. A table with draping will be provided. Bring your own signage, product, and display pieces to showcase and sell your amazing products. Selling – you must be prepared to receive payment, collect taxes, etc. via cash, credit card, etc. Instagram Takeover of @DallasChocolate for a day leading up to the event. If you are interested in participating in any of these ways, please let us know! There are multiple levels for vendors wishing to participate. The Standard, and the Premium. Both levels are available in a single (8′ foot) or double wide (16′) booth space. Read below to see the options available for each. Table in the main hall of the Festival for sales, sampling, display, etc. Premium booth placement on the show floor. Instagram Takeover day on DallasChocolate’s page. Have you been a vendor at the Festival before? Sweet! Special Pricing available for returning vendors. Email us here for the details. Questions? Send us an email. We’ll get back to you as fast as we can.